Be sure to check out Costco's vast collection of televisions made by LG, a trusted company known for making good, quality tv's. 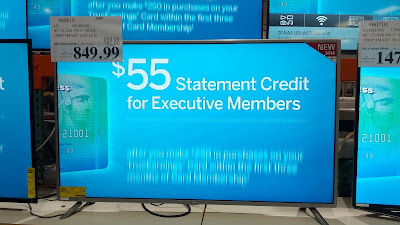 This 60 inch tv (LG 60LB6100) would be great in any living room, family room, or man cave to watch your favorite television shows, the big game (particularly the Super Bowl between the Seattle Seahawks and New England Patriots), or a movie. The HD quality makes it seem as if you're part of the action. LG is a worldwide leader in making the best tv on the market. You'll want to watch the Super Bowl on this 60" LG tv even if your home team isn't playing. This stunning picture is the reason you wanted HDTV in the first place. With almost double the pixel resolution, Full HD 1080p gives it superior picture quality over standard HDTV. You’ll see details and colors like never before. LED backlighting is an array of compact, energy-efficient, tiny light-emitting diodes inside the TV to illuminate the picture. The new standard in HDTVs, LED is superior to older CCFL technology, making slimmer televisions possible, with amazing brightness, clarity and color detail.